"These people must be very free, no need to work, that's why spend so much time and money on hi-tea!" Sour grapes will be sour grapes. 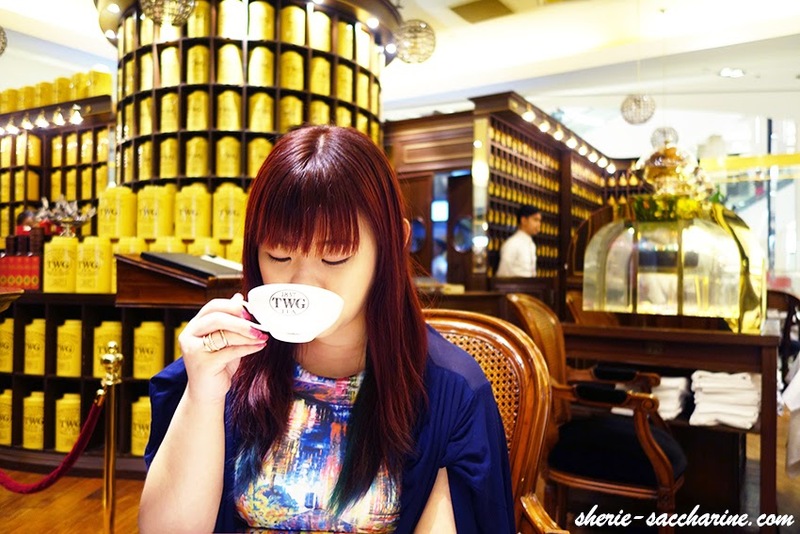 But I'm glad that the grapes became sweet when I finally get to try out TWG for the first time during this CNY holiday! 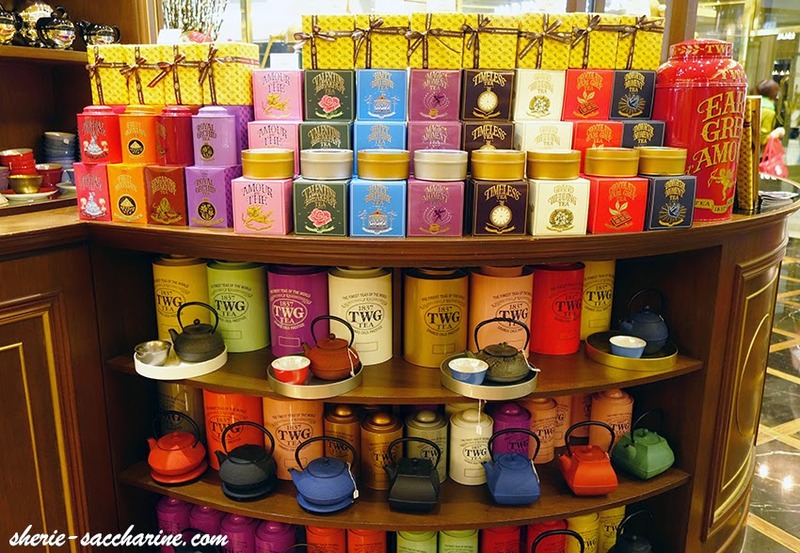 I dropped by TWG Tea Grand Atrium at ION Orchard on 2nd day of CNY before 1pm, and was glad that it wasn't crowded as expected. I agree that the items on the menu are pricey, and I usually don't do pricey. But it's the new year man, must pamper myself after a long week (excuses). 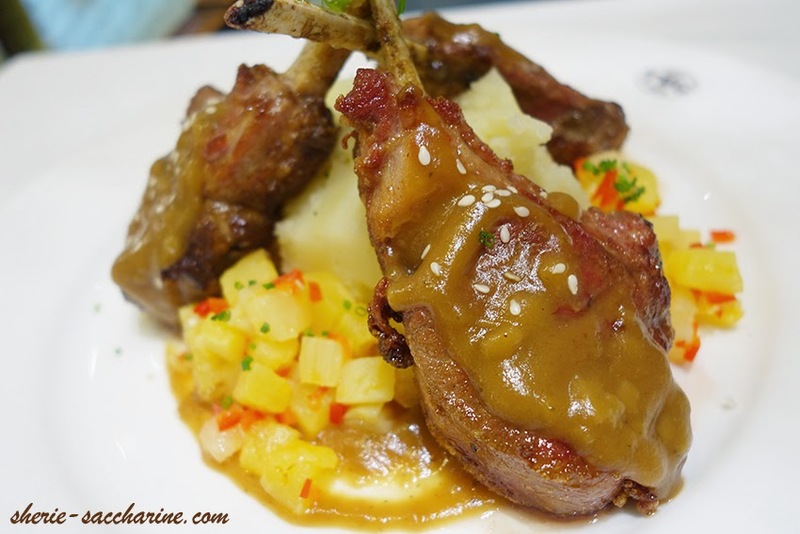 I heaved a sigh of relief when I saw that they are having the CHINESE NEW YEAR SET MENU! Valid till 27 February only! $35 for the the full set menu when I could hardly get a decent Main Course elsewhere! I love this fish! 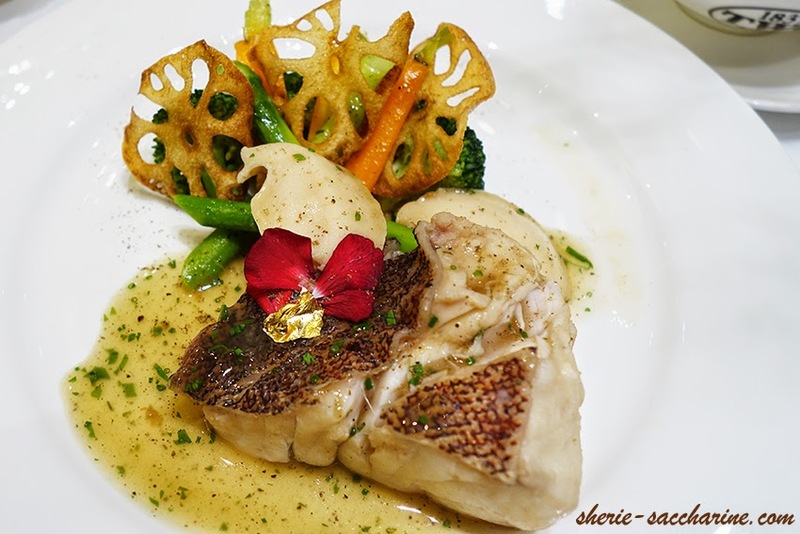 The dish was cooked in an oriental style, and the fishy taste was neutralised by the Longevity tea instead of ginger, thus, the dish was refreshing and appetising! (Good news for those who detest ginger.) The abalone was generous, and it was crunchy to the bite, not overly chewy, which I really appreciate. The vegetables and sauce was prepared in Chinese cooking style too. 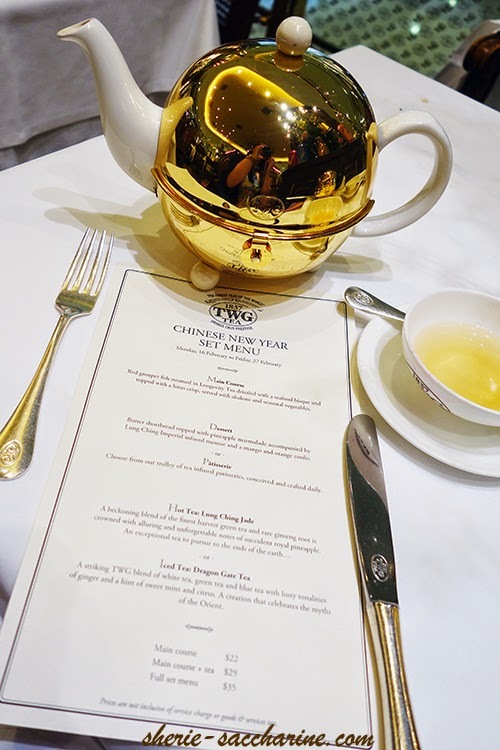 A beckoning blend of the finest harvest Green Tea and rare Ginseng Root is crowned with alluring and unforgettable notes of succulent royal Pineapple. An exceptional tea to purse to the ends of the earth. Okay, sorry to be a spoilsport, but I'm not a tea expert, and this taste like any Chinese Tea that I have ever tasted. I couldn't savour the taste of Ginseng Root, nor the Pineapple. Butter Shortbread topped with Pineapple Marmalade accompanied by Lung Ching Imperial infused mousse and a Mango & Orange coulis. This is a great dessert for diners who love enjoying multiple textures in their desserts. 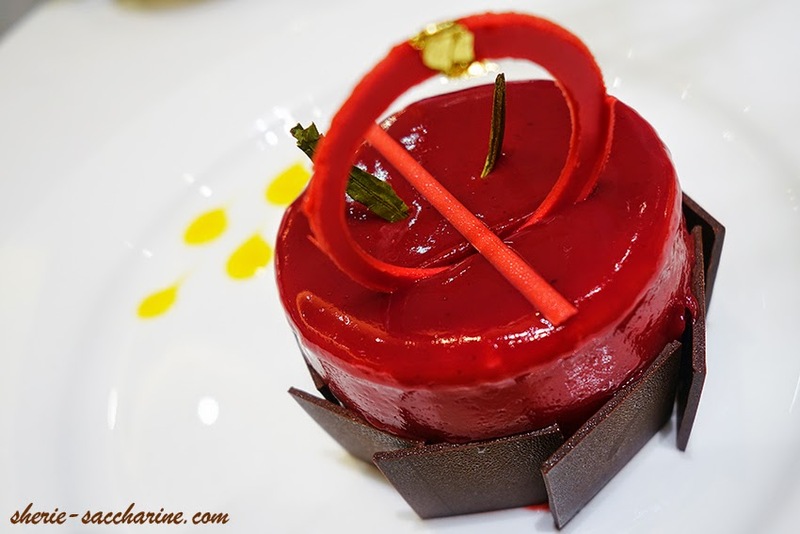 The mousse was coated with a layer of "jello/jam" that almost taste like Raspberry, which was a delighting surprise as it wasn't mentioned in the description. The mousse was creamy, but does not have the tinge of Lung Ching that was promised. The dessert was layered with Jello, Mousse, Pineapple Marmalade, Mousse, Butter Shortbread. The Pineapple was sweet with a touch of sour, and the shortbread was hard to cut through even with the fork. Overall, the dessert is a tad sour for my liking, and the chocolate plates was tasteless. A renowned second flush TWG Tea from one of the most celebrated organic tea estates in Darjeeling. The beautifully crafted leaves unfurl to yield a full-bodied cup that will enlighten an afternoon. 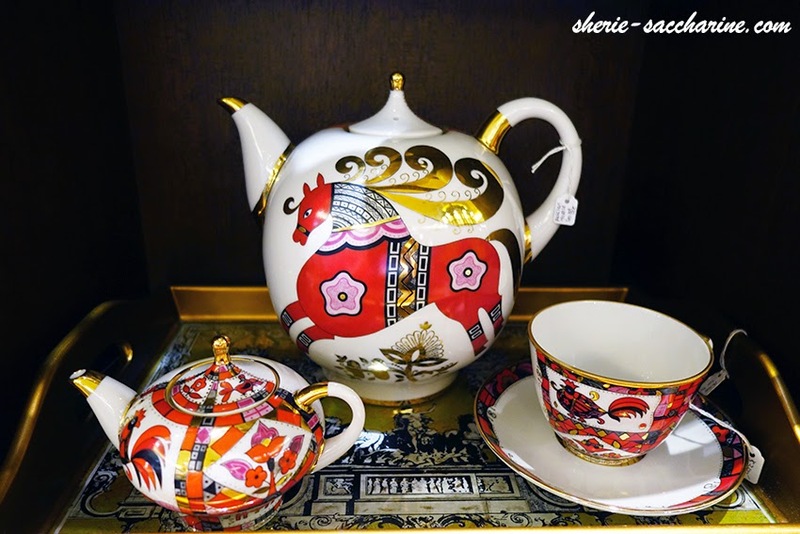 Black Tea originated in India, Himalayas & Nepal. If you close your eyes, you can definitely taste that it's a Black Tea originated from India even without reading the description. Serious, it has this unique Indian taste! This tea was recommended by the service staff for us to pair with the Lamb. 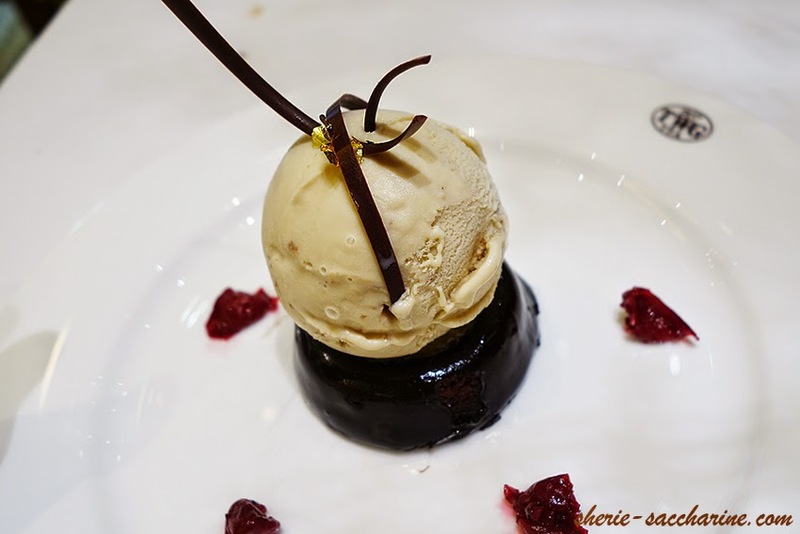 Rich Chocolate Fudge cake served with a scoop of homemade Singapore Breakfast Tea ice cream and a sweet Morello Cherry Marmalade. The ice cream has a very distinct taste of spices instead of Tea fragrance. It's unique, acquired, and worth trying. The fudge cake was too hard for my liking, we gotta use some strength to cut the cake, but it turn soft instantaneously in your mouth. The chocolate taste wasn't strong, nor it was "chocolatey" or sweet. But if you have a mouthful of the ice cream, fudge cake and cherry marmalade, it's definitely delectable! Rack of Lamb accompanied by sautéed Pineapple and Red Bell Pepper served with a lamb jus infused with Moroccan Mint Tea. 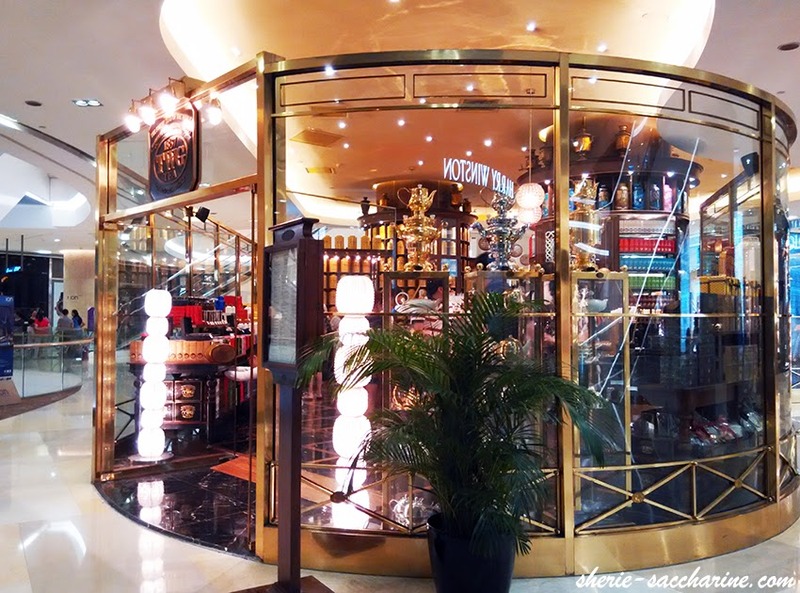 To be fair, I have not tried all the Mains in TWG to give an objective verdict that it's the best among the rest. However, I am very sure that I would order it again during my next visit, and have the 3 racks all to myself! I believe that a good lamb is actually better than beef! The meat was tender yet chewy, and the absence of the lamb's pungent smell allows the lamb to be infused with the full flavour of the lamb jus. I don't usually take bell peppers, but the sweet and sour combination of the pineapple and red peppers "salsa" really boost your appetite for the full flavoured lamb. $2 quality Macarons! 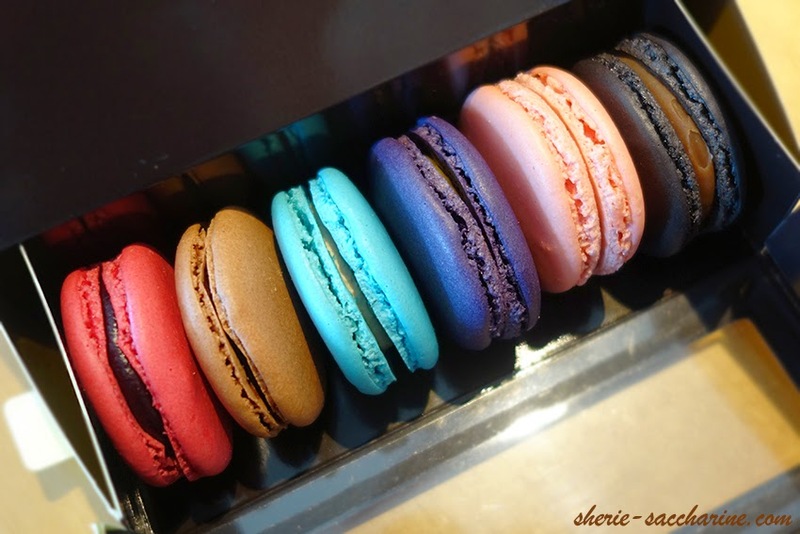 With a wide selections of tea-infused macaron flavours, you will sure find 1 that you love! 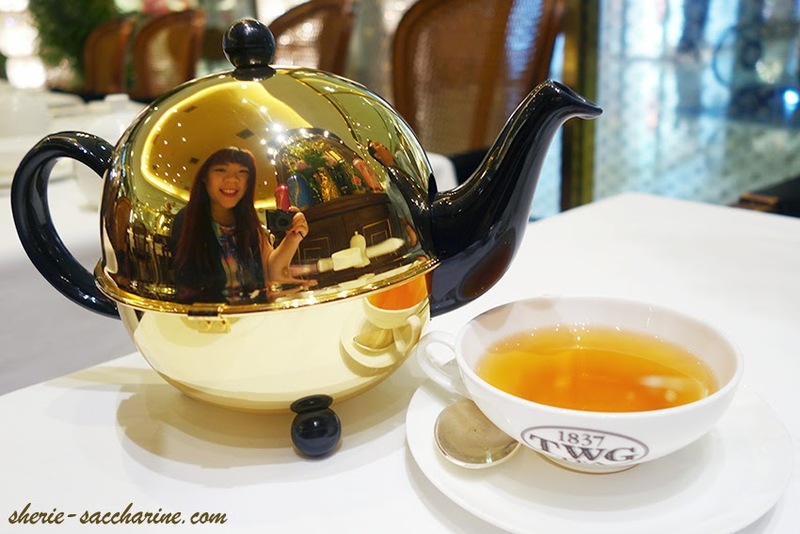 I really enjoyed my first dining experience at TWG! Now I can understand why people will take the time and enjoy their pricey hi-tea and meals at the classy and luxurious restaurant! If you love what you drink and what you see, buy it! 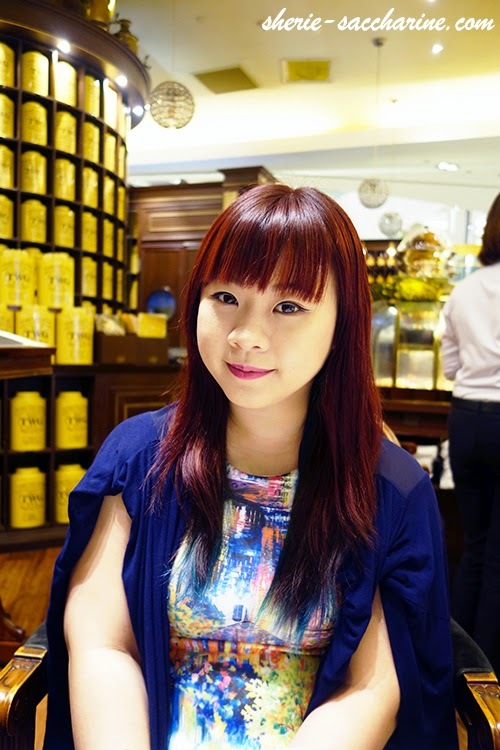 Visit here for Singapore's store locations.